RainSoft is proud to offer a complimentary home water test for your residence in the Austin, Texas area. 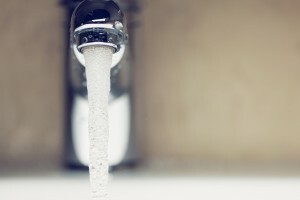 Despite the frequency in which you use water on a daily basis, you could still be in the dark about the different contaminants and additives that could potentially be found in your home’s water supply. Although these substances are not harmful to you or your family’s health, they could be responsible for a number of unpleasant issues. Some of these include metallic-tasting water, limescale buildup in your pipes, mineral deposits in your shower or bathtub, and clothes left discolored or feeling rough to the touch after washing. These issues may result from impurities such as sulfur, iron, magnesium, or calcium that a home water test can identify. Additionally, while some additives like chlorine and fluoride are introduced into your municipal water supply with good intentions such as disinfection and oral health, once they reach your home they are deemed unnecessary and can be removed for better water quality. RainSoft’s complimentary home water test can identify these elements and work with you to custom-tailor a water quality solution that’s right for your residence. Whole-house water filters – These products address specific problems such as chloramines, fluoride, and other impurities. If our test reveals such elements in your water, one of our problem-solving filters can be installed to provide healthier, higher-quality water for your entire home. Water softeners – If our home water test identifies high concentrations of calcium and/or magnesium, RainSoft’s water softening systems are the ideal solution. High amounts of dissolved calcium and magnesium result in “hard” water and can cause issues such as stains and damage to water-using appliances. Our softeners provide an unlimited supply of softened water and boast benefits such as soap scum prevention and a more effective plumbing system. Drinking water systems – If our test reveals elements such as iron and sulfur, RainSoft’s drinking water systems are an ideal solution. Our systems can remove more impurities than faucet-mounted alternatives and provide purified, better-than-bottle quality water. If you’re interested in learning more about our products or would like to schedule a home water test for your residence in Austin, TX, or another surrounding area, contact RainSoft today.